You’re scared. I know. I was too. 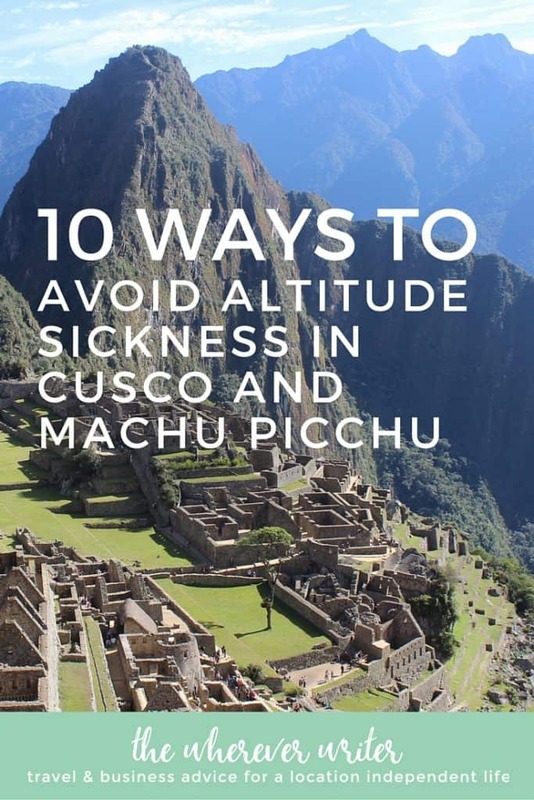 Before heading to Peru, I obsessively scoured the Internet for information about how to prevent altitude sickness in Cusco. I even read a couple of articles about people who died from altitude sickness (or complications from it). This almost led me to cancel my trip to Cusco and Machu Picchu. 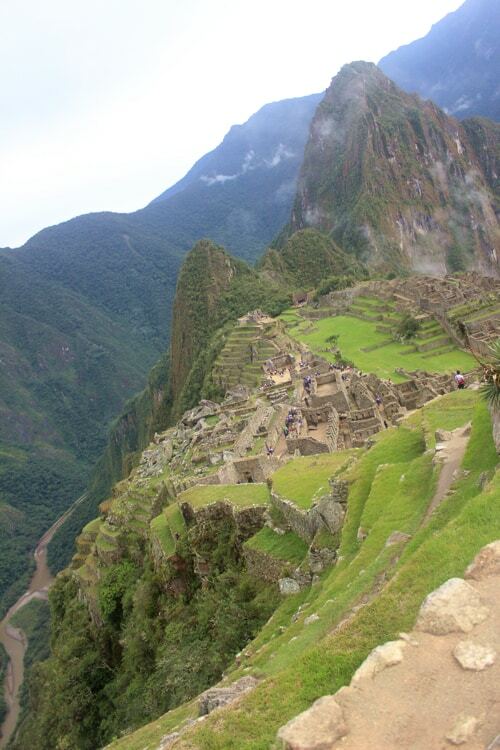 #1Cusco and Machu Picchu are amazing places worth at least one visit in your lifetime. #3 There are many ways to treat it. What is Lima, Peru’s elevation? Lima is NOT at high altitude, but it was insanely difficult to find the exact elevation of Lima. It seems it ranges quite a bit depending on where you are in Lima. But, according to FreeMapTools, the elevation of the Jorge Chavez International Airport is about 82 feet (25 meters) or 113 feet (34.4 meters) according to Wikipedia. Either way, it’s not high altitude and you should not feel sick due to its elevation. 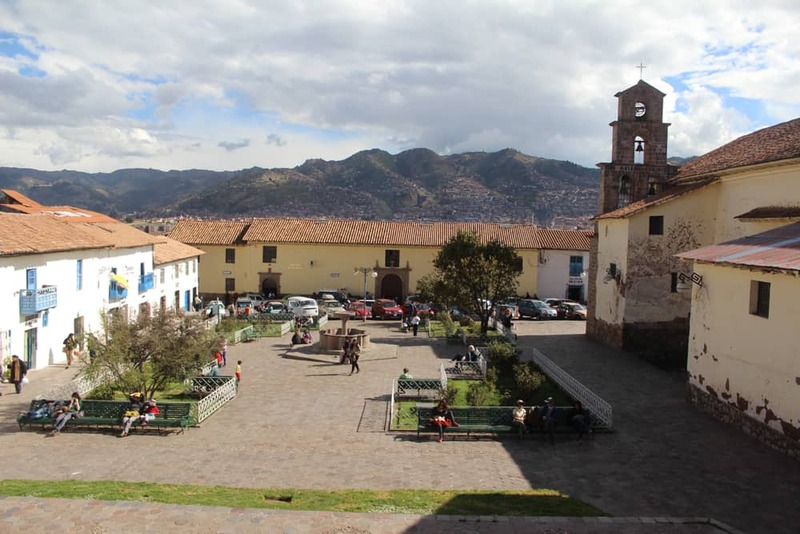 Altitude sickness really becomes an issue on your next stop: Cusco. Cusco’s altitude is 11,152 feet (3,399 meters). What is Machu Picchu’s altitude? Machu Picchu’s altitude is significantly lower at 7,972 ft (2,430 meters). At what elevation does altitude sickness kick in? Altitude sickness generally starts affecting people at 8,000 feet or higher, so Machu Picchu isn’t really the potential problem—Cusco is. Everyone who goes to Machu Picchu must pass through Cusco. Flights land here. Buses from Lima stop here. At high elevations—above 8,000 feet—the air is “thinner,” meaning there is less pressure, so while the oxygen percentage remains the same, the air is less dense, so each breath you take contains less oxygen than what you’re used to. To counteract this, your body will, at first, need to breathe faster and pump blood more rapidly in order to take in the same amount of oxygen it is accustomed to receiving. For many people, this comes as a shock to the body, causing various symptoms. There isn’t really a “cure” for altitude sickness, other than descending back down to a normal elevation. I am not a doctor so the following is not medical advice. *This post contains affiliate links, which means if you choose to buy products through the links I provide, then I receive a commission at no extra cost to you. Links are to products similar to the ones I personally used in Cusco. I was born in Florida—flat, sea-level Florida—and lived there for almost my entire life. Prior to April 2014, I had never been at altitudes as high as Cusco. Therefore, I felt I was a prime candidate for altitude sickness (although, again, you never truly can predict it). Now I’ve been in Cusco since April, on and off. I’ve arrived in Cusco three separate times; in other words, I visited here for 10 days, went to Buenos Aires for 10 days, came back to Cusco, went to the U.S. for two weeks, then came back again. Each time I arrive in Cusco, it gets easier to acclimate. The first arrival, I had a pounding headache for five days, though it wasn’t so bad that I couldn’t do activities. I think I took Tylenol a couple of times to relieve the headache. I also drank coca tea during my first visit, but haven’t since (there’s no proof it actually works). Thankfully, my symptoms have never been worse than that. 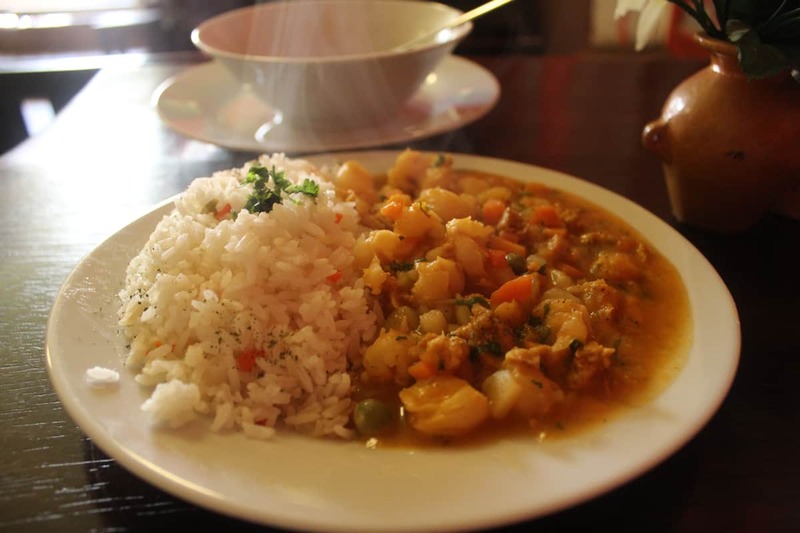 Below are the many ways to treat altitude sickness in Cusco, including natural ways. This is seriously the easiest—and most ignored—piece of advice for avoiding altitude sickness. Again, your body is trying to get oxygen, but there is less of it available in each breath. So take deep breaths to try to get more air in. The reasons for this are debated, but certain studies show that the effects of alcohol are enhanced at high altitude (i.e. You get drunk more easily). #4 Drink lots of water. This may not alleviate altitude sickness exactly, but sometimes it’s hard to tell the difference between altitude sickness and dehydration, and high elevations tend to be very dry, meaning you need more water for proper hydration. #5 Acclimate at a lower altitude, and ascend slowly. This piece of advice is sometimes hard to follow because it means changing your trip plans. A lot of people recommend that the second your plane lands in Cusco, you should take a taxi or colectivo to the Sacred Valley, about an hour outside of Cusco, where the elevation is about 2,000 feet lower. This allows you to acclimate at a somewhat lower altitude, and then move back up to Cusco when your body is more used to high altitude. The other option is to take a 21-hour bus ride from Lima to Cusco. Some people think the Lima-Cusco bus is a better option because it allows you to ascend slowly over the course of 21 hours—however, the bus route is very curvy and mountainous, so you will likely get very car sick if you’re prone to motion sickness. In the U.S., Diamox (generic name: acetazolamide) is a prescription drug often used to treat glaucoma; however, it can also treat altitude sickness. You need to take it 24 hours before arriving in Cusco, though, and a side effect of the drug is that you’ll probably need to pee more frequently—not very convenient when you’re traveling. I brought Diamox with me, but have never used it. This one took me by surprise! I had never heard of this treatment until I met a couple on the train from Machu Picchu to Cusco. They told me they had brought a small bottle of chlorophyll drops they’d bought at a natural health store back in the States, and they put a few drops in their water every day and never suffered any ill effects from the altitude. The idea behind this natural treatment is that the chlorophyll may increase the amount of red blood cells in your system; the more red blood cells there are, the more opportunities there are for oxygen to be absorbed, thereby reducing the effects of altitude sickness. 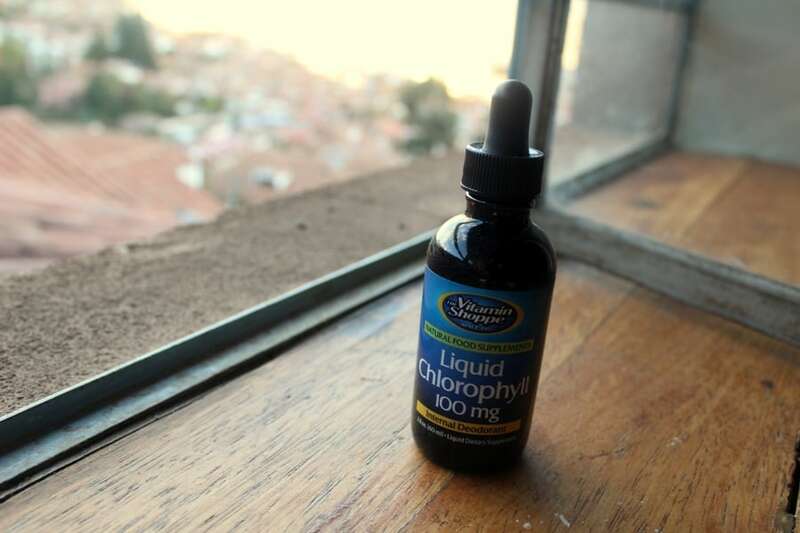 On my second trip to Cusco, I brought these Vitamin Shoppe Liquid Chlorophyll Drops and mixed a few drops in with my water—it turned my teeth green, but it wasn’t bad at all. I never got sick from the altitude on the second trip (other than a mild headache), so maybe it helped! If you’re worried about green teeth or the taste of the drops, you can get chlorophyll soft gel caps instead. I really like using natural remedies, so I felt good about taking chlorophyll drops instead of Diamox. The chlorophyll drops I brought with me to Cusco on one of my visits. Click here to check the latest prices on chlorophyll drops for a natural altitude sickness remedy! These are plastic tubes filled with oxygen! They’re sold in almost every pharmacy in Cusco. However, many people claim it’s a gimmick. Yes, it contains real oxygen, but it’s such a small amount that it probably will have no effect on you. Your best bet is to go to a hotel or hospital that has real tanks of oxygen. #9 Go to a 5-star hotel, or the emergency room, and get hooked up to oxygen. If your altitude sickness reaches emergency status, of course, go to the hospital! If it’s not an emergency, but you’d like an oxygen tank, many 5-star hotels keep them on-hand for guests. Another natural herbal remedy besides chlorophyll is Ginkgo Biloba—and this one I have scientific research to back up! A 2008 study on the prophylactic effects of Ginkgo Biloba found that participants who took 80 mg of the extract every 12 hours 24 hours before ascending to high altitude had significant reduction in their Acute Mountain Sickness in comparison with those who took acetazolamide (Diamox) or the placebo. So if you want science-backed altitude sickness treatment that’s all natural, get yourself some Ginkgo biloba extract! This one specifically comes in 80 mg capsules. You know those little “finger pulse oximeters” they put on your fingertip when you’re in the hospital? Thanks to my super smart and always prepared dad, I brought one of these with me, and it’s been great at helping me monitor myself (and others) to see if I’m getting to “emergency” status. Basically, your SPO2 (blood oxygen level) shouldn’t fall below 90%. In Florida, mine is normally 99%. When I first got to Cusco, it fell to 69%! This is serious. I just lay down for a few hours and breathed deeply, and I was fine.You can also use this to keep track of your heart rate. In Florida, my resting heart rate is usually in the low 70s. In Cusco, it’s usually in the 80s. 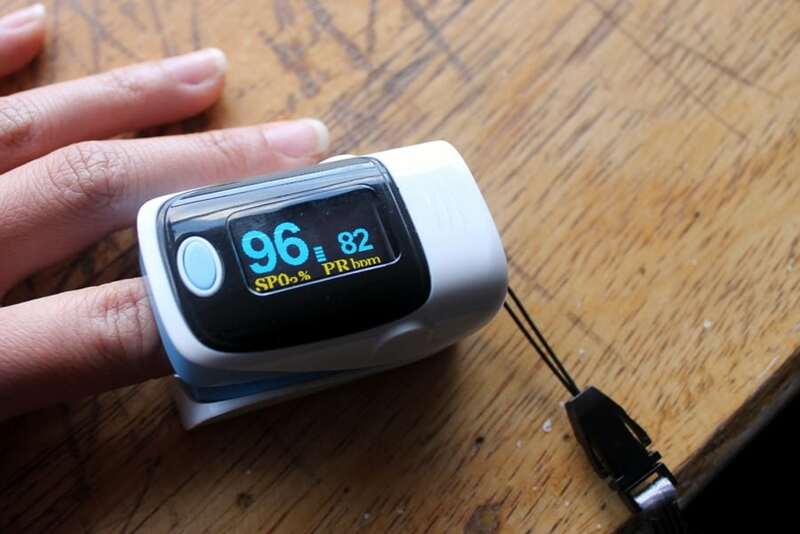 Click here to get a blood oxygen meter to check your levels while in Cusco! My handy-dandy blood oxygen meter. I sometimes like to test random people’s blood oxygen level and heart rate just for fun. (I’m weird, I know.) But what’s interesting is that even natives of Cusco have lower blood oxygen levels than what is normal at low altitude. I guess you never really get used to it? Conquer Cusco’s Altitude—and Have Fun! While you shouldn’t let the fear of altitude sickness cancel your trip, you should also take any symptoms of altitude sickness seriously. As long as you listen to your body and take precautions, you should be fine. *Note: This is probably pretty obvious, but I am not a doctor, so this post should not be used as a substitute for medical advice. Before heading to Cusco, you need to visit a doctor to get vaccinations anyway, so while you’re there, check with him/her about the different options for treating altitude sickness. Amy, I have only recently started to read your blogs and I am finding them so informative – thank you. I am sure you are going to be tired of receiving my e-mails before I have finished. With regards to this blog Amy, do you know what vaccinations should I be getting before going to Peru? I have so many questions to ask you – do you mind receiving all these e-mails? Hi Dave! I definitely do not mind getting all these emails, in fact, I enjoy them! Double check with your doctor, but for travel to Cusco, I got the Typhoid shot and the Hepatitis A. Neither are actually REQUIRED to travel to Peru, but they’re highly recommended. Yellow Fever is not a problem in Cusco because it’s so high altitude there are no mosquitoes. However, if you plan on going to the jungle, you might want to look into getting a Yellow Fever shot. If you’d like, feel free to email me at whereverwriter [at] gmail.com. I’m happy to help! 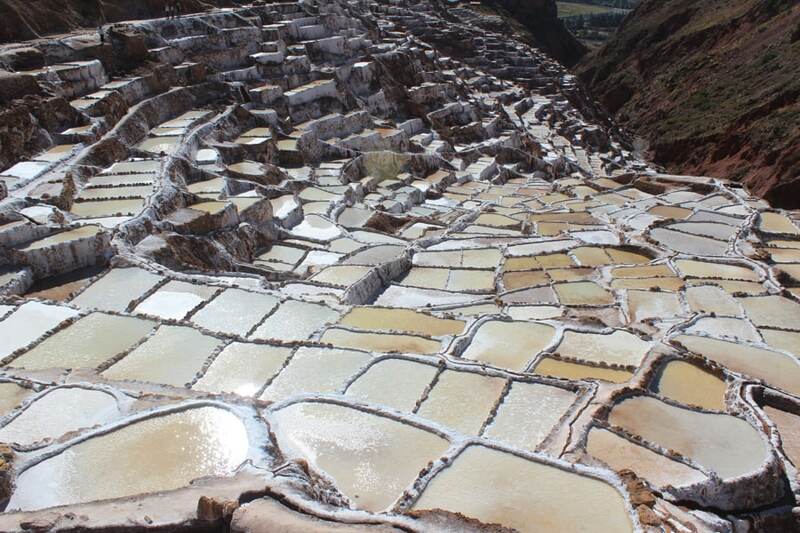 was looking online information about altitude sickness on kids, I have been to Cuzco about 5 years ago with my almost 2 year old daughter (I have had surgery a few days before traveling to Cuzco and the altitude hit me and I was very sleepy but once my body got use to it I was able to walk around the city and took some coca tea.). Now am going back to Cuzco in feb and my daughter is now 7years old and am so scared on how the altitude might effort her. Have you seen kids getting really sick from altitude sickness? We’ve done a lot of open heart surgical missions in Lima with the pediatric population and from gathering data, children from high altitude areas of the Andean region do so much better pre and post cardiac surgeries since they’ve had low O2 sats to begin with. I will try the chlorophyll drops once I go back to Peru. 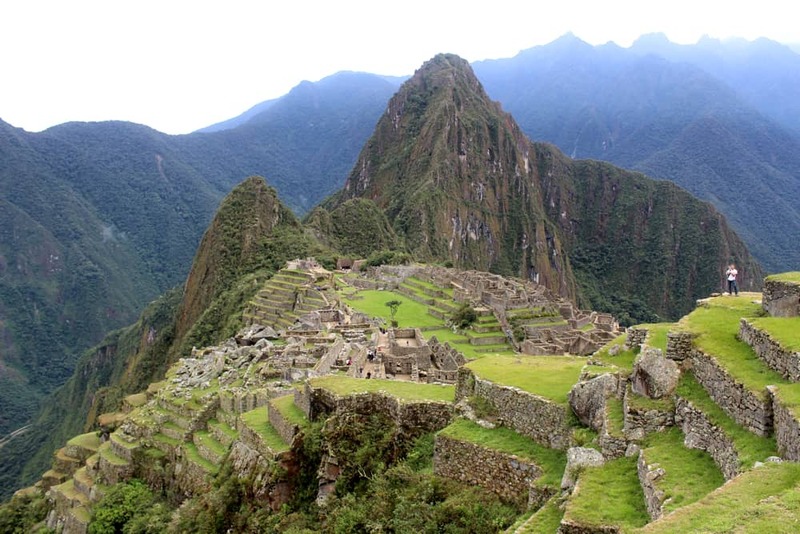 Myself and hubby are planning to go to Cusco and Machu Picchu next year, May 2015. My hubby has heart problem and had suffered from heart 2 years ago. Can he still travel to Cusco and Machu Picchu ? Just another note about altitude sickness – just returned from Peru and besides the normal recommendations of drink lots of water, coca tea, taking it a little easier at first, our tour director there stressed not eating any heavy meals the first couple of days. Kept it light and the worst we experienced were slight headaches. Amazing trip! Thanks Amy. Great read and exactly the type of info I’ve been looking for. I’m heading to Peru (Machu Picchu) in a few months and the altitude sickness is something I really wanted to hear more about. I’ve decided to go a day before my trek to hopefully get a little acclimatised. Thankyou for the info. There is one great side effect oh high altitude living. Increased lung capacity for the rest of your life! Not scientific of course but anecdotal. I spent 6 months is South America 10 years ago, the majority of that time at high altitudes traveling from Venezuela down through Ecuador, Bolivia, Peru, Chile and Argentina following the Andes most of the way, including a few mountain climbs, and of course Machu Picchu and Cusco. 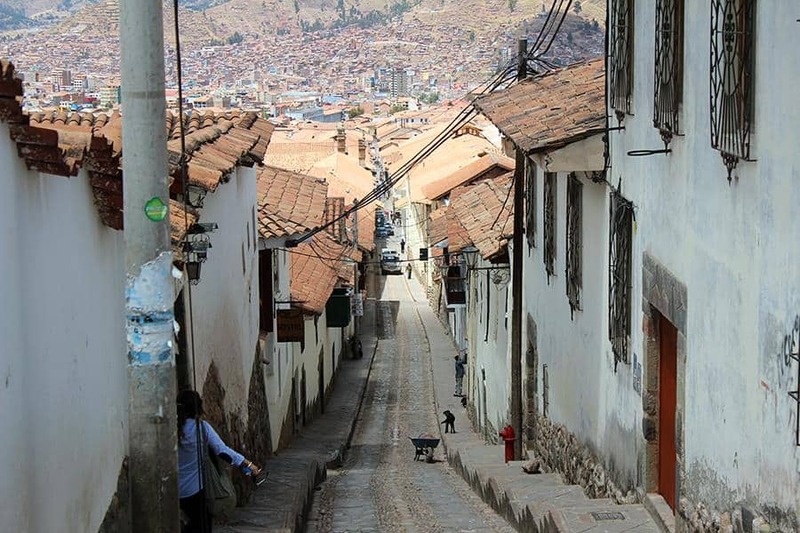 For the real altitude experience however, just go to La Paz, Bolivia, it’s even higher. Anyway, today 10 years later I can run up steps and conquer steep hills faster than people 20 years younger than me! That lung fitness has stayed with me ever since. I encourage everyone to go to South America. It’s an experience you will never forget! My husband and I have put deposit for trip to Machu Picchu and Cusco including Ecuador in November. I have AFAB and worried about altitude, I am already taking medications for palpitation, high BP. I get out of breath if climbing steep hill or walking fast. please need your advice if its safe. For those traveling to Cusco, the very best thing you can do is land in the airport and immediately depart for the Sacred Valley leaving the altitude ASAP. Travel thru the valley and take your tour to Aquas Calientes visiting Machu Picchu. Leave Cusco for the end of your tour. Doing the route this way will allow you to acclimatize to altitude much easier starting in valley and gently ascending thru the tour. Please do drink the coca tea early and often! Make sure to stay well hydrated. On the tour if you see an item you like, don’t try to bargain. I tried and never saw the item anywhere else in my travels! Someday I will go back and do the trail. Previous article Taking the Train to Machu Picchu: PeruRail or Inca Rail?